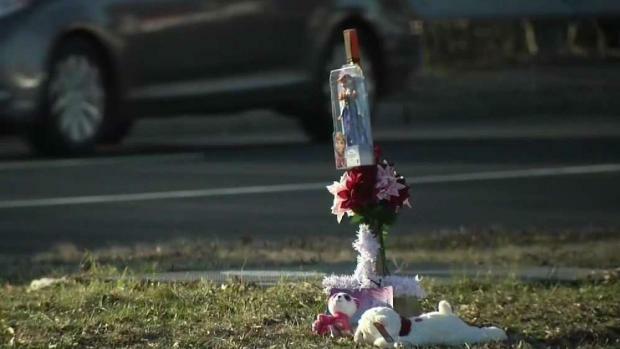 A 5-year-old girl was hit and killed in Revere, Massachusetts. Autumn Harris, 42, of Boston, was arrested after she allegedly hit 5 pedestrians, killing 5-year-old Adrianna Mejia-Rivera in Revere, Mass. A 2-month-old girl also suffered life-threatening injuries and was taken to Massachusetts General Hospital. Harris was arraigned Monday in Chelsea District Court. She is charged with motor vehicle homicide and negligent operation. 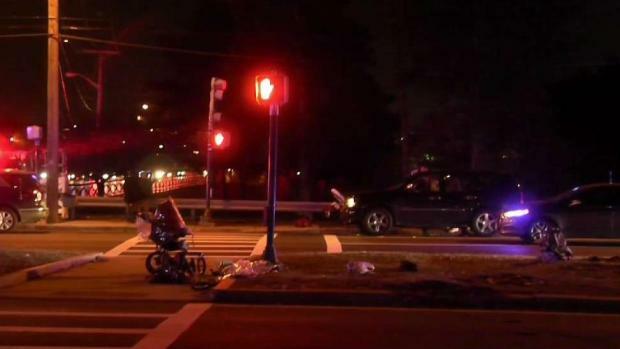 A 42-year-old Boston woman is facing multiple charges in connection with a fatal pedestrian crash in Revere that killed a 5-year-old girl and injured five others, including a 2-month-old baby. Autumn Harris was arrested for the Sunday evening crash after she allegedly struck five pedestrians just before 5 p.m. in the 1700 block of North Shore Drive. State police said Harris was driving a 2015 Chevrolet Equinox SUV on Route 145 when her vehicle veered off the roadway and into a median strip that divides the highway. 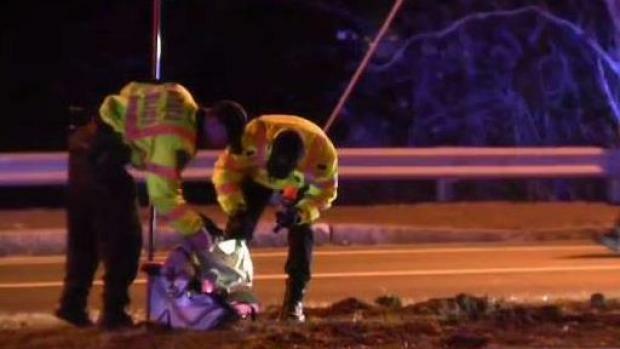 The pedestrians were walking along the grass median strip before the crash. According to state police, the victims included a 5-year-old Adrianna Mejia-Rivera, who died at the scene; her 2-month-old sister, who suffered life-threatening injuries; a 2-year-old child who sustained non-life threatening injuries; a 27-year-old woman who suffered non-life threatening injuries; and another woman who sustained minor injuries. The surviving victims were taken to Massachusetts General Hospital, according to Massachusetts State Police. Harris’ passenger, a 30-year-old Boston woman, was also hospitalized. A Boston woman is facing serious charges after a tragic crash in Revere. The 2-month-old girl was still in the hospital's intensive care unit on Monday, according to the Suffolk District Attorney's Office. Prosecutors said in court Monday that Harris told police she had consumed one beer earlier in the afternoon, had taken the sleep aid melatonin and a muscle relaxant to help her sleep the night before and slept only two hours before working all day Sunday. They also said she admitted to vaping CBD oil in the vehicle and said she might have fallen asleep at the wheel. Drug test results are still pending. According to her driving record, Harris refused a chemical breath test after the accident and her right to drive was automatically suspended. She had twice previously refused to take chemical breath tests, and was charged with operating under the influence in 2011. Harris is currently charged with motor vehicle homicide and negligent operation of a motor vehicle, state police said. She could face additional charges as officials continue their investigation. Bail was set at $10,000 at her arraignment Monday in Chelsea District Court. She was ordered to remain drug and alcohol free if she posts bail and is scheduled to return to court on Jan. 10. A 42-year-old woman from Boston lost control of her SUV and hit five pedestrians early Sunday evening, according to police. She has been arrested. 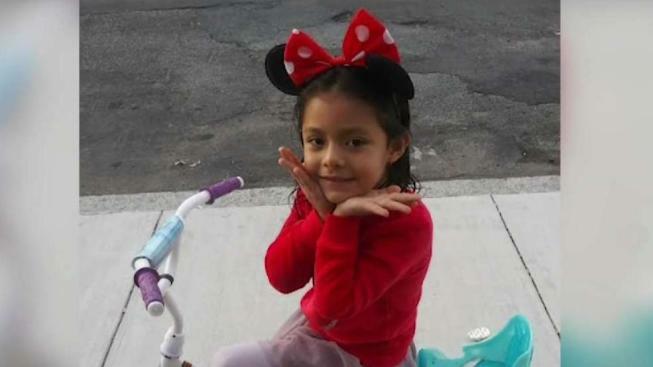 "There are no words to describe our sorrow for this innocent child and her family," Suffolk District Attorney John Pappas said in a statement. "We will follow the evidence wherever it leads and we will do our level best to speak on their behalf in the wake of this devastating tragedy." Harris' mother, Maureen Harris, said outside court on Monday that her daughter doesn't know what happened. "She didn't get to call me until very, very late," her mother said. "Of course she's crying and I couldn't make out much, but she said, 'I don't know. All of a sudden, it just happened.'" She said her daughter was taking the muscle relaxant Flexeril, but she isn't sure if that contributed to the accident. "I don't know. We'll find out," she said. "I feel so bad for those kids." The female driver has been arrested and could be facing charges.